The crown jewel of the Hamptons local food scene is the weekly markets, including the one at Nick and Toni's. In today's East Hampton Star there is an alarming report that this weekly market site is in jeopardy. Apparently, you need a "mass gathering permit" to operate the market and it's a no no for a restaurant to donate its parking lot as a public service -- not even for local farmers, cheese makers, fishermen and bakeries to connect with local eaters. My head hurts even thinking about the closing of the Nick and Toni's market and the irony of it all. Instead of worrying about farmers and fishermen selling fresh, local food in a little parking lot in the village that does nothing more than help foster conversations between neighbors and let food purveyors make a living, wouldn't the East Hampton Board's time be better spent supporting the local food and farm economy by blocking developers from gobbling up the last of the Town's great agriculture parcels which are slowly being replaced with oversized McMansions? Nick and Toni's farmers market has been in operation for four years but suddenly the Town is just noticing this little permitting oversight -- and now, mid-July, right smack in the middle of the growing season. What's up with that? 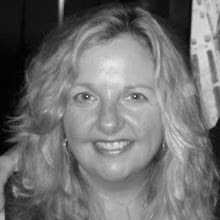 Perhaps East Hampton's Board should call Bonnie Cannon, the founder of the Southampton Farmers Market and Town of Southampton Trustee, and find out how hard she fought to have a farmers market in Southampton Village. Or talk to someone over at the Montauk Chamber of Commerce to better understand why local farmers, fishermen and bakers are important to the local economy. "East Hampton Farmers Market faces possible shutdown"
The fate of the East Hampton Farmers Market, the popular produce market at Nick & Toni’s restaurant on North Main Street in East Hampton, hung in the balance on Tuesday as the East Hampton Town Board planned to confer with its attorneys to figure out whether it is legal for the market to be held on the restaurant’s parking lot, even though it has been held there for the past four years and has been operating this summer. Supervisor Bill Wilkinson said during the board’s work session on Tuesday morning that he hoped to resolve the situation favorably for the market by Thursday. The market was scheduled to be open Friday. At issue is the board’s opinion that because the market is held on the restaurant’s property, it is an expansion of the commercial use of the property. “It’s not that we don’t want it, it’s just that it’s an inappropriate use of the location,” said Councilwoman Theresa Quigley. But Mark Smith, owner of Honest Management Restaurant Group, which owns Nick & Toni’s told the board that the restaurant does not make any money on the Farmers Market and allows the market to use the parking lot as a public service. He said he applied for a permit to operate the market several months ago, but it was denied in May. He didn’t learn about the denial until early July. Mr. Wilkinson apologized for the lack of communication about the permit. Kate Plumb, who heads the market, asked the board if the market could continue operating until September, despite the board’s concerns. “I fully support that idea,” said Councilman Pete Hammerle, who added that he disagreed with the rest of the board’s opinion, saying the previous Town Board gave permission to have the market operate on the restaurant’s parking lot under a mass gathering permit. Ms. Quigley said the board has considered moving the market to town land, the Labrozzi/Lester Farm, across the street. But because the land was purchased with CPF funds, it would be illegal to have a profit-making business operate there. A handful of farmers and other vendors who lease space from the market spoke at the public portion of the work session and said the closing of the market would hurt them financially. David Falkowski, a farmer for seven years in Bridgehampton, said the farmers market contributed to a third of his revenues for the year. “I plead with you to continue the market. It’s so important to the vendors,” he said. Donna McCue told the board she operated a small business at the market. “I couldn’t afford to have the market shut down,” she said. Mr. Wilkinson said repeatedly during the work session that the issue would be resolved by Thursday. Get locally grown fruits and vegetables, fresh baked bread and pies, fish and shellfish caught off of Montauk and Shinnecock and Peconic Bays, fresh made cheeses from cows in Mecox and a whole lot more at these farmers markets. Community Farmers Market at Hayground School, 151 Mitchell's Lane (at Butter Lane) in Bridgehampton from 3 pm to 7 pm. The Sag Harbor Farmers Market, 25 Bay Street, from 9 am to 1 pm. 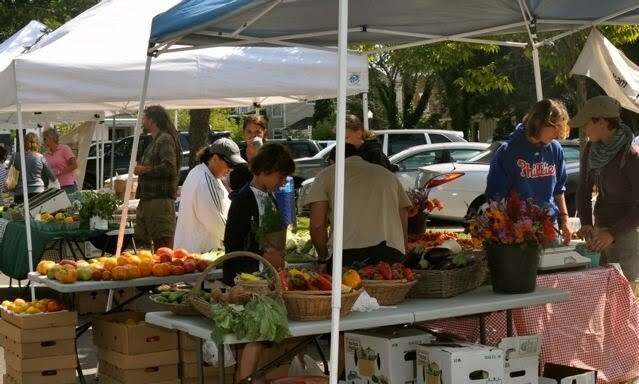 The 2011 Season of the Westhampton Beach farmers' Market will run this year once again on Saturdays between 9am-1pm from May 7 - November 19. 40+ farmers, growers & producers all from Long Island. EBT, WIC & Snap accepted.